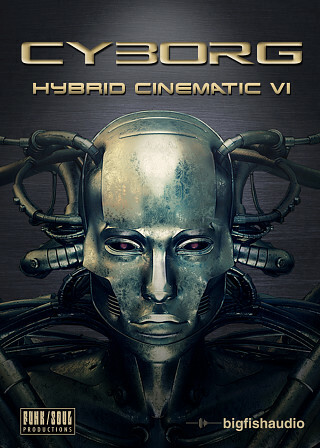 Big Fish Audio and Funk/Soul Productions are proud to present CYBORG, a hybrid cinematic VI For Kontakt 5.5 and above. Human + machine + organic + synthesized = CYBORG. CYBORG is a hybrid Virtual Instrument that combines organic sound sources and live instruments with cutting edge synth effects and sound design techniques. The sound of CYBORG is part-human and part-machine. Some sounds are rough and imperfect - others, carefully programmed and precise. CYBORG's sonic palette ranges from harsh and aggressive to suspenseful, mysterious, and at times, hauntingly beautiful. 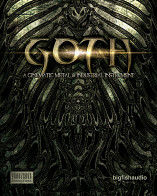 CYBORG provides composers with a unique collection of polyphonic and looped instruments that is ideally suited for use in modern cinematic drama, suspense, action, and sci-fi soundtracks, trailers, and games - a virtual toolbox of original and useful sounds, textures, and cinematic effects. The Following End User License Agreement is included with Cyborg. This License is only valid for the individual who has purchased an unopened, new and lawfully made copy of Cyborg from a dealer or distributor authorized by Big Fish Audio. 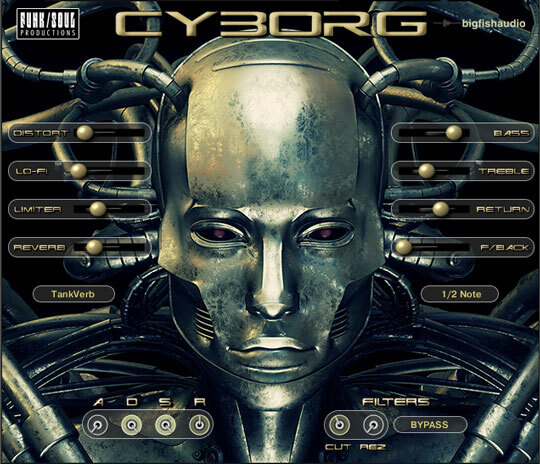 As the name implies, Cyborg fuses instrumental, found and electronic sound sources in its 8.4GB soundbank, which is fronted by a scripted Kontakt/Player engine.